Bulgaria’s second largest city is a fascinating destination for travelers who love history, wine and offbeat places. 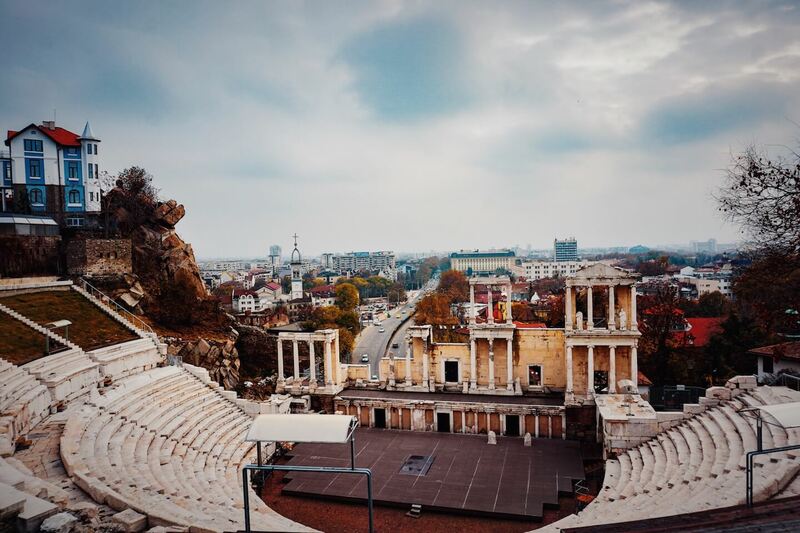 Plovdiv may not be on the tourist radar, but you’d be remiss to skip out on Europe’s Capital of Culture 2019. 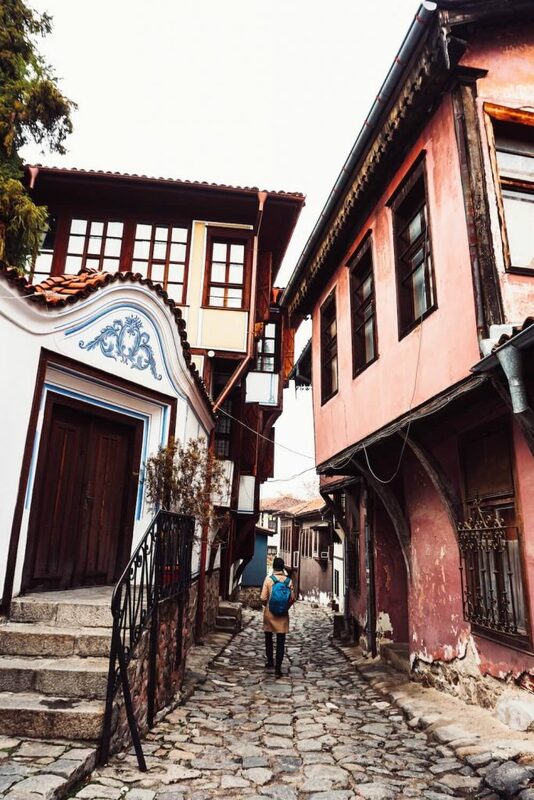 You can easily visit Plovdiv as a day trip from Sofia, or even better as a 2-day trip. More ancient than Rome and Athens, Plovdiv is regarded as the oldest continuously inhabited city in Europe. It was the ancient Thracians, a collection of Indo-European tribes, who originally settled in Plovdiv. They planted vines here, thus establishing a wine tradition that continues to define the surrounding region, the Thracian Valley. 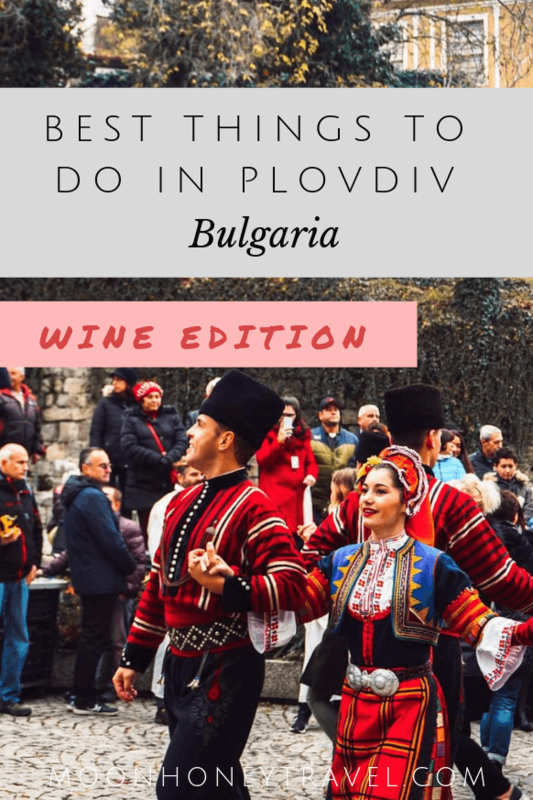 So, in honor of Bulgaria’s original settlers and the ancient tradition of winemaking in the Thracian Valley, we’ve compiled the best wine-inspired things to do in Plovdiv. Even though Bulgaria is one of the oldest wine producers in the world, wine tourism is in its infancy. 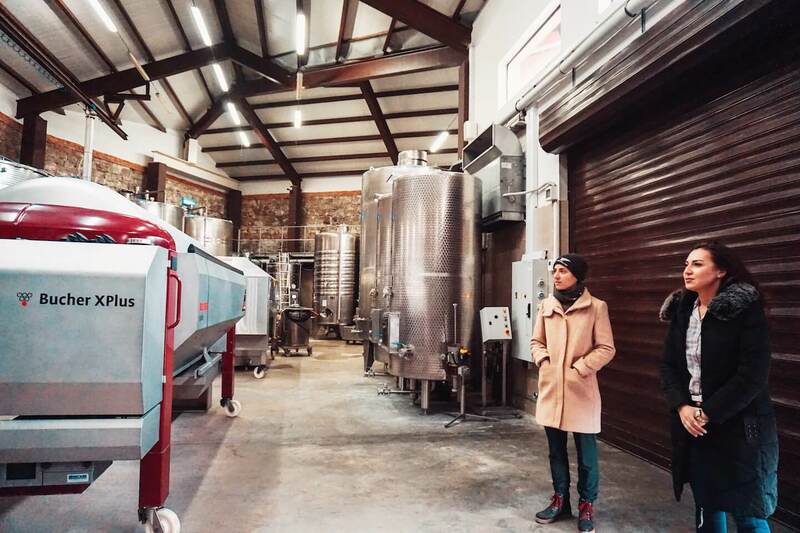 Unlike other wine destinations, it’s not easy to independently visit wineries and tasting rooms. Most require reservations and English is not always a given. We visited Brestovitsa, the declared “capital of Bulgarian wine,” by ourselves and were utterly at a loss of where to go. There were no tourist-friendly signs, maps, or guidance. Even getting there was a hassle because there are no listed or published bus times from Plovdiv to Brestovitsa. 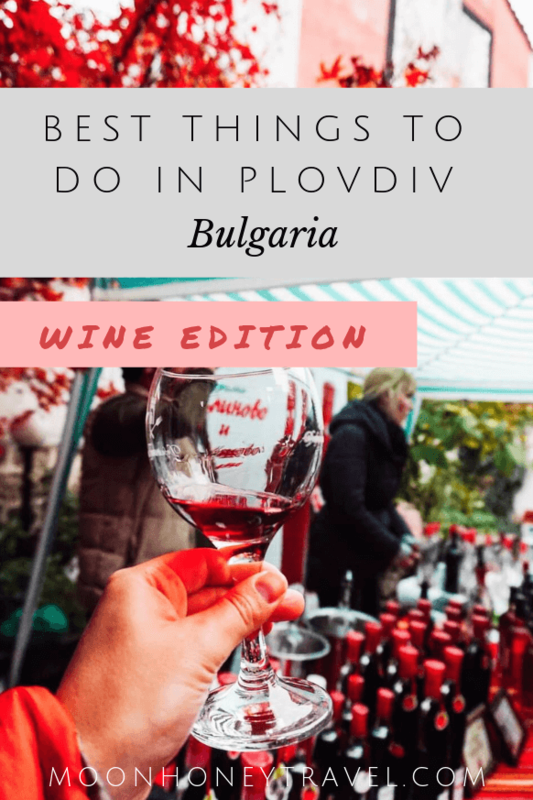 Though it’s a shame that the wine travel in Bulgaria isn’t very accessible, there’s luckily still a great way to taste and learn about Bulgaria’s finest wines. We highly recommend going on a wine tour with Bulgaria Wine Tours. Not only will you learn about the history of winemaking in the country, but you’ll also be introduced to some of Bulgaria’s most impressive boutique wineries. We took a half-day tour from Plovdiv and were extremely satisfied with our experience. Though if we were to return, we’d definitely opt for a full-day tour. Is there anything better than a wine festival? 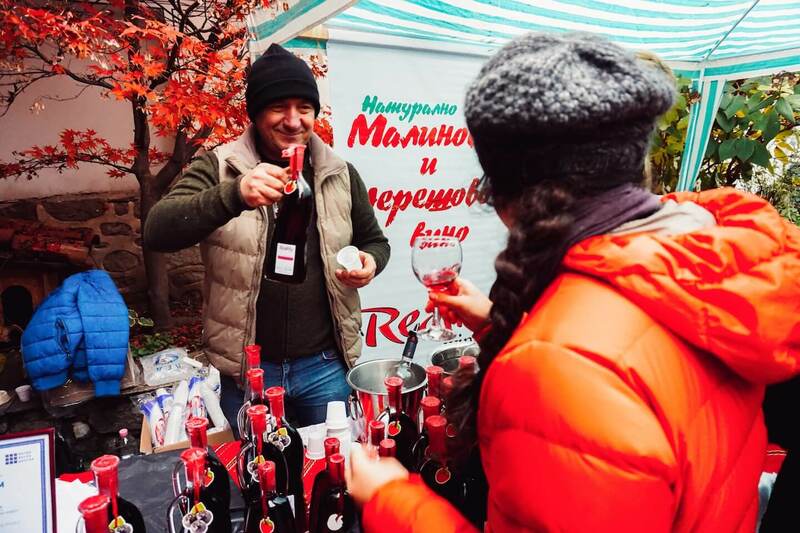 Plovdiv hosts a number of wine festivals throughout the year, giving visitors an opportunity to taste some of Bulgaria’s indigenous grape varietals like Mavrud, Rubin, and Dimyat. Wine festivals in Plovdiv are largely attended by locals and perhaps Sofia-day-trippers. The atmosphere is authentic and unpretentious, and winemakers are happy to talk to you. Though the festival features young wine, most wineries sell some of their older vintages. We bounced around the stations for two days and got happy on Domaine Viticole Viticole Nitchev’s Mavrud (2015), Trastena’s Merlot and Raspberry Wine Blend (2015), and Logoda’s Melnik 55 (2016). There are also several restaurants and specialty food shops represented at the festival. 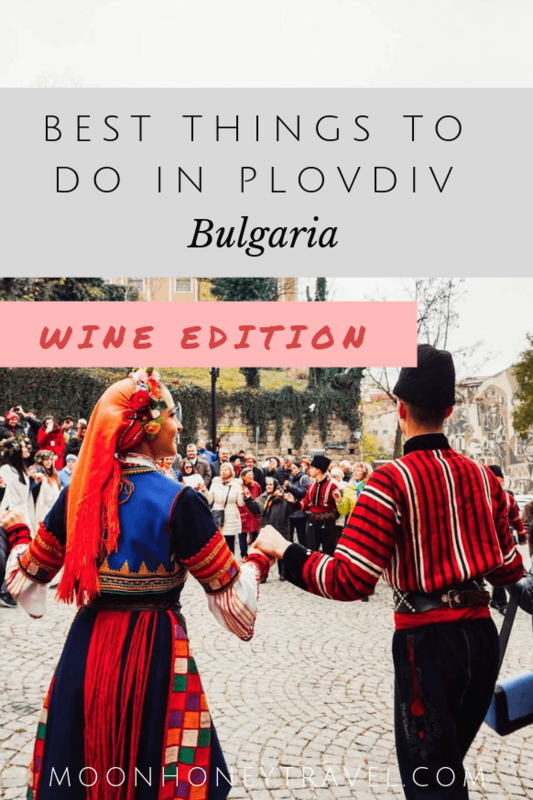 While there are plenty of things to do in Plovdiv at any time of the year, if you can time your visit with a wine festival, your experience will be even more special. Young Wine Festival (Late November) – This is the festival we attended in the Old Town of Plovdiv. The festival kicks off with a traditional dance and music performance and lasts 3 days. 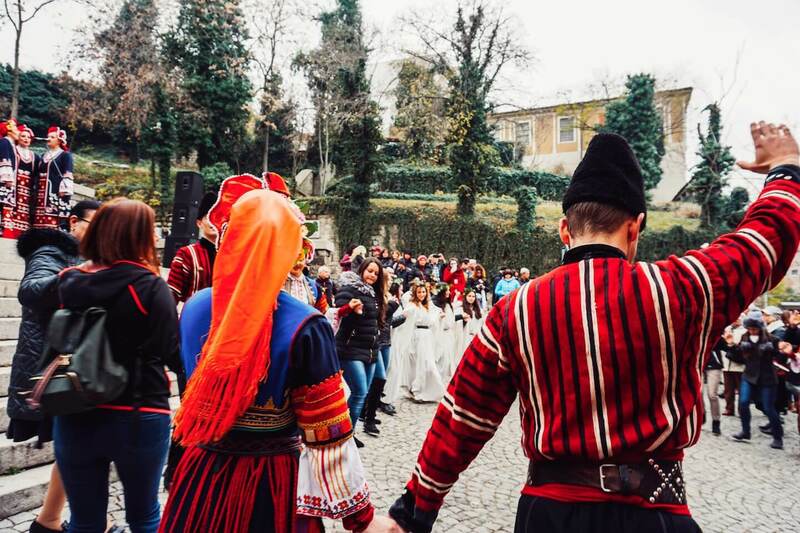 St. Trifon’s Day (February 14th) – Each year on February 14th, Bulgarians celebrate the patron of winegrowers and winemakers, St. Trifon Zarezan. Throughout the country, there are unique wine festivities and traditions in villages, wineries, and vineyards. 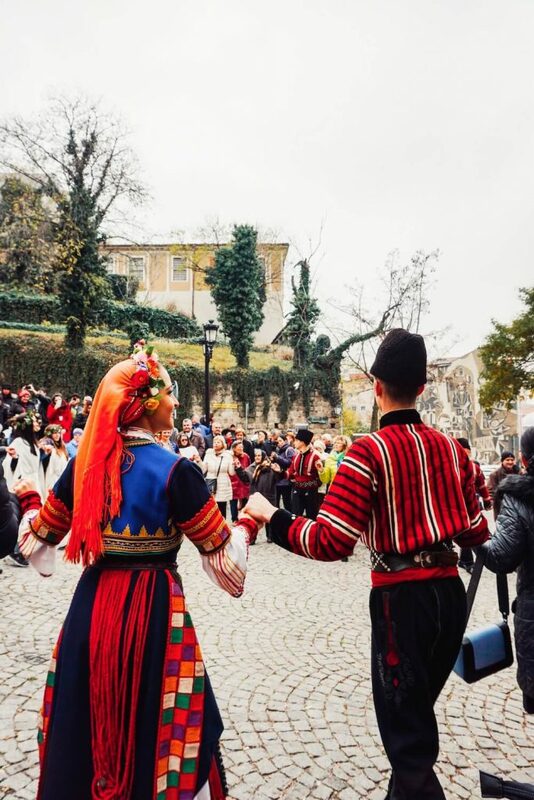 Brestovitsa, a wine village close to Plovdiv, celebrates the holiday with a procession from the town to the vineyards. All the town’s wine cellars are open for wine tasting and selling. 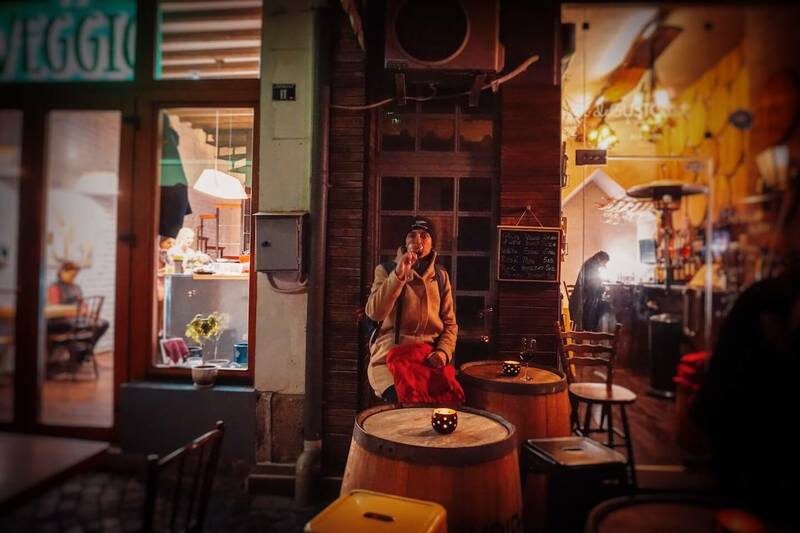 Currently, Plovdiv has two wine bars (this keeps changing): Vino Culture and DeGustation. Vino Culture is a cozy wine bar with a large selection of local wines. They also serve appetizers, so you can settle in and enjoy a nice evening here. DeGustation is a tiny wine bar in the Kapana neighborhood. 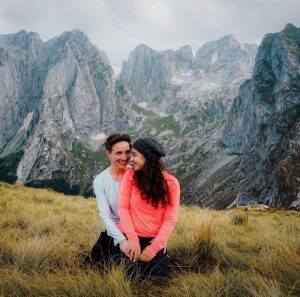 Run by the family behind the Bendida Winery and Enoteca Bendida, you can expect to taste local Mavrud and Rubin wines here. Though DeGustation has limited space and only a few wines to choose from, you can easily grab a glass here before, or after dinner. 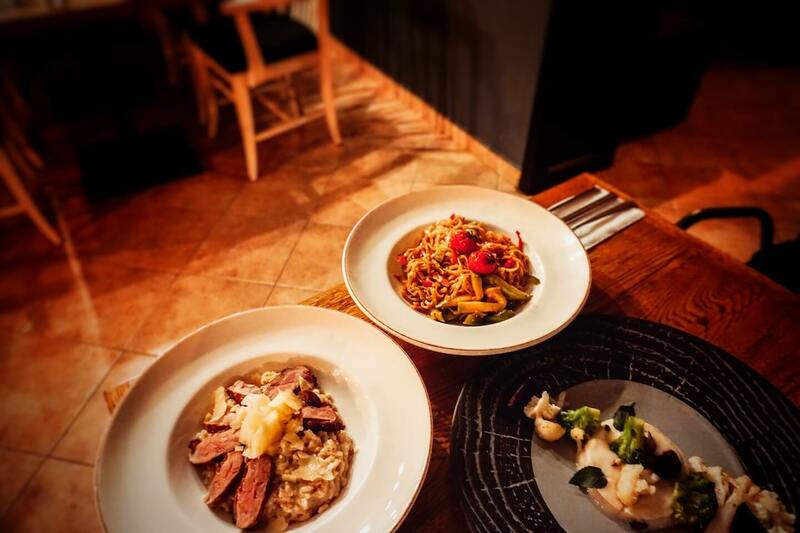 Speaking of dinner, here are the best places to wine and dine in Plovdiv. Pavaj is a hip gastropub located in the Kapana. The food is flavorful and prepared with gusto. The service is exceptional. Pavaj will spoil you with their wine options. Reservation recommended. Smokini may not be as popular as Pavaj, but it’s just as good. We loved their perfectly plated salads and pasta dishes. They have an extensive wine list. Reservation recommended. Curious about other things to do in Plovdiv? Visit the ancient Roman Stadium. Though only part of the stadium is visible, it’s still a wonder to see. It has a capacity fo 30,000, but most of the stadium is buried under the main shopping street. Visit the well-preserved Ancient theatre of Philipoppol. Explore the buildings of the National Revival period in the Old Town. Notable buildings are Georgiadi’s House, Balabanov’s House, Birdas House, and the Ethnographic Museum. Budget | Home Hostel is a budget-friendly accommodation located in Plovdiv Center. It’s a clean and mellow hostel that offers private rooms only. Mid-Range | Hotel Evmolpia is a boutique hotel located in the Old Town of Plovdiv. Guests are treated to complimentary wine and cheese every night, between 18:00 (6:00 p.m.) and 20:00 (8:00 p.m.). Luxury | Park Hotel Plovdiv is a deluxe hotel with a spa center and restaurant. The only downside is that it’s a 30-minute walk from the hotel to the old historic town.